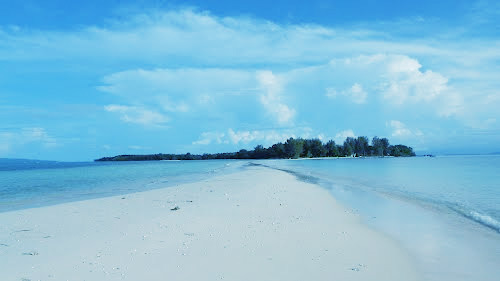 Dodola Island is surrounded by the wide of white sand that connect Dodola Besar Island and Dodola Kecil Island. The nature panorama around and the clear water are suitable for swimming and diving. There are also other islands that can visit by the tourists. Dodola beach is about 5 miles from Daruba, the capital of South Morotai districts.